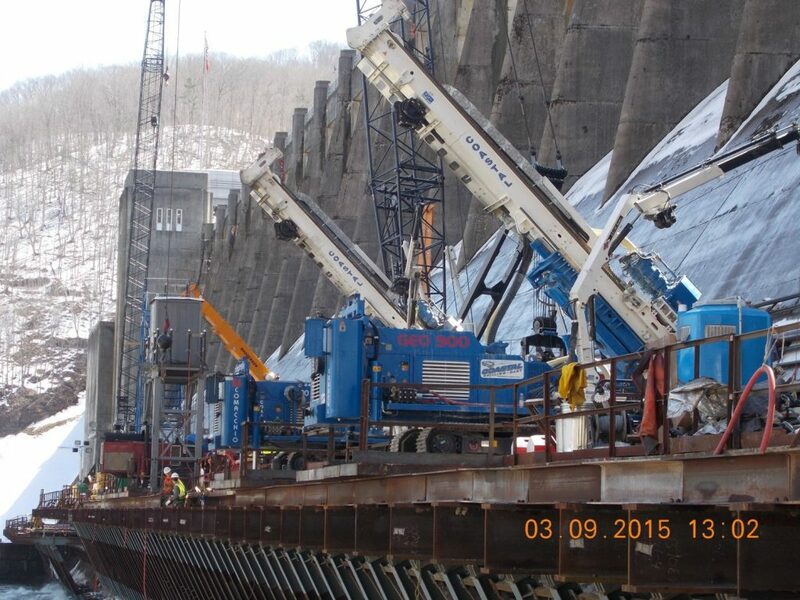 This project called for the installation of 278 high-capacity, post-tensioned, multi-strand rock anchors. The anchors ranged in size up to 61-strands with test loads approaching 3000 kips. 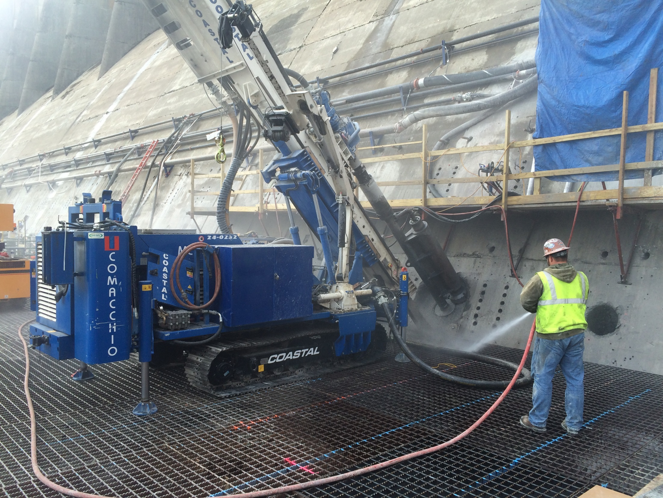 The anchors were installed in 15-inch diameter boreholes to deviation tolerances of less than 1 in 150. To reach this tolerance, an 8-inch pilot hole was first advanced utilizing real-time optical guidance directional drilling technology. Strand anchors represent an extremely flexible anchoring system in which the number of strands per anchor controls the anchor capacity. 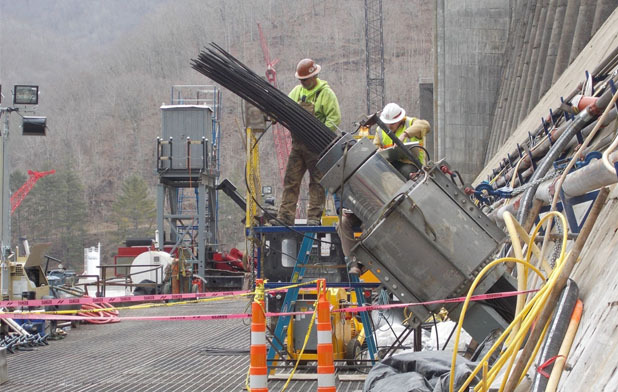 Phase 4 of the Dam Safety Assurance Project called for the installation of 278 high-capacity, post-tensioned, multi-strand rock anchors to resist sliding of the dam on a relatively weak bedrock layer. 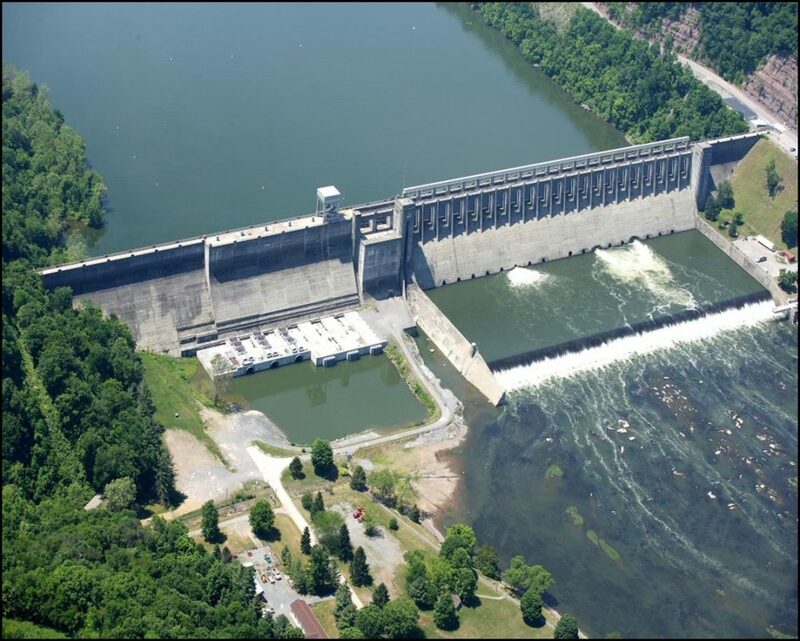 The dam is operated by the United States Army Corps of Engineers and is located in the Appalachian Region on a culturally and historically significant United States national river. 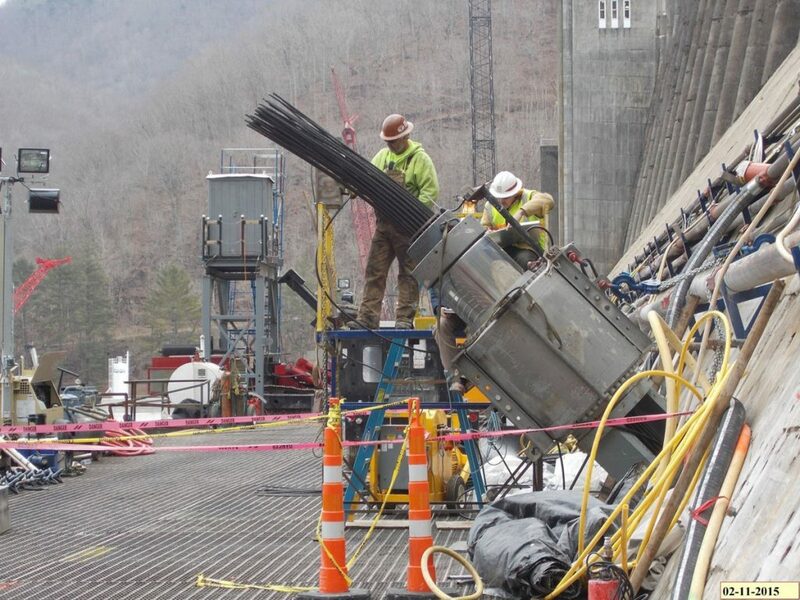 Coastal Drilling East was tasked with the installation of 278 high-capacity, post-tensioned, multi-strand rock anchors for Phase 4 of the Dam Safety Assurance Project. While the geometry of each rock anchor was specified by the US Army Corps of Engineers, Coastal Drilling was responsible for the design of the individual anchorages including the bearing plates and load transfer columns. The largest anchors on the project contained 61 individual strands and each anchor was tested to over 1.3 times its design load. The largest test loads on the project were nearly 3 million pounds. 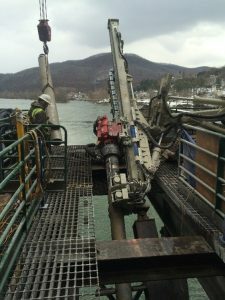 In addition to the high-capacity of the strand anchor system, the project requirements stated that the boreholes needed to be drilled to a final tolerance of 1 in 150. 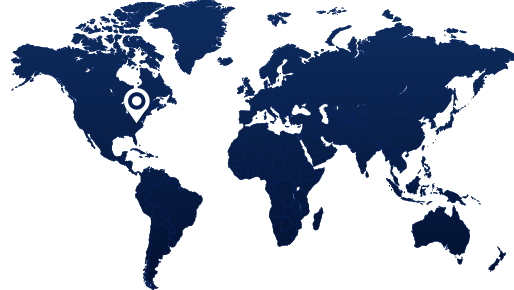 This was accomplished by utilizing real-time optical guidance directional drilling technology. In addition to the large size of the rock anchors and the tight drilling tolerances required, over half the project was accomplished from a temporary working platform erected above an active stilling basin. 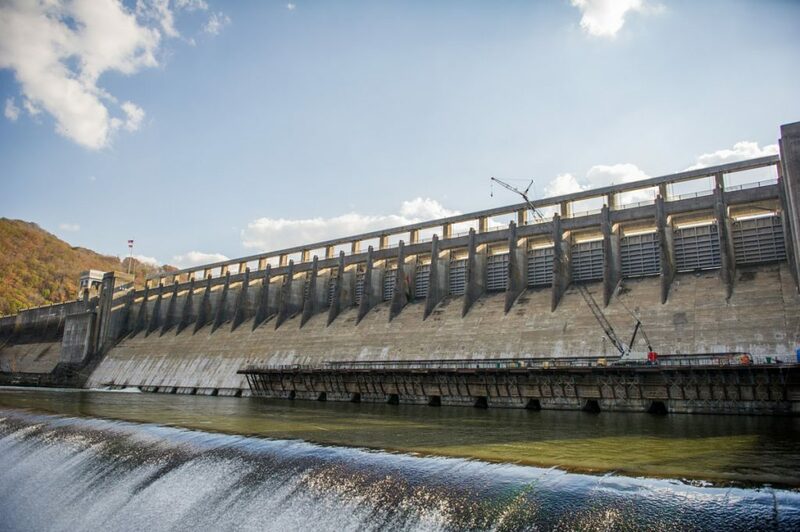 In this manner, the dam remained operational during construction ensuring continued protection to the downstream population.